Cresta Gems is an independent, family run, working goldsmiths who pride themselves on creating beautiful handmade Diamond and Gemset jewellery ranging from bespoke exclusive handmade pieces to mass produced lost wax castings. We hold in our workshop inventory thousands of original master patterns and moulds which date back to the turn of the 19th century. 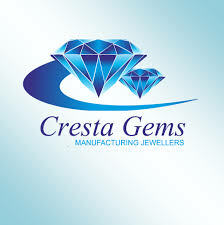 10% off at Cresta Gems with your CQ card. Offer does not include commission pieces made to order.